Get the chick of your dreams! It only happens once a year — this year we are offering the following hens: Australorps, Barred Rocks, Black Giants, Black Star, Buff Minorcas, Columbian Wyandottes, Dominiques, Jumbo Cornish X Rocks, Light Brahmas, Modern BB Red Games, New Hampshire Reds, Partridge Rocks, Pearl-White Leghorn, Phoenix, Red Leghorns, Rhode Island Red, Silver Laced Wyandottes, White Giants, White Rocks. All come with vaccinations. The hatchery requires a minimum of 25 chicks. We combine orders from you, and other customers, and this allows you to order as few as two chicks or as many more that you want. 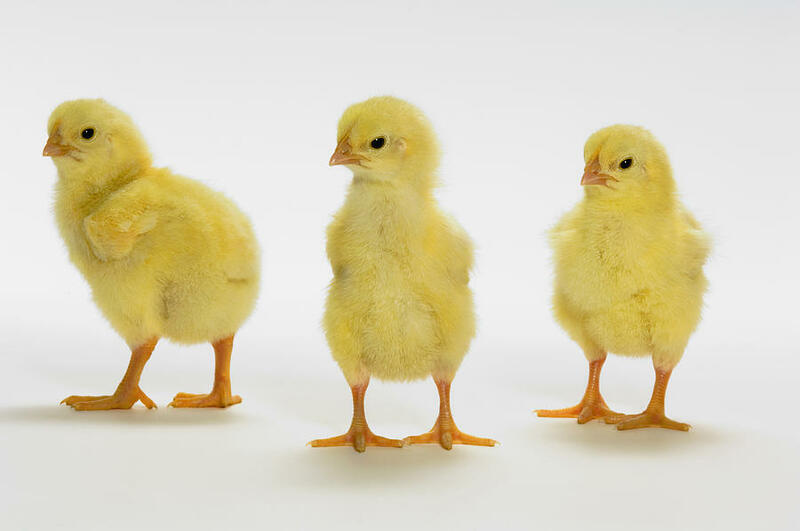 The chick breeds that we listed are available for delivery weeks of March 25th, (Gone), April 22nd, (Closing Soon), May 27th and June 24th. We need your order one month before the delivery week. Payment must be made 2 weeks prior to delivery. We charge what the hatchery charges plus a $10.00 handling fee. You'll be able to get the $10.00 fee back by simply purchasing 10 bags of poultry feed, after receiving your baby chicks. Save the receipts with your name and present them to us and we will issue a store credit which can be used toward the purchase of any item in our store. After contacting Pete via the e-mail link below, he will quote the cost of your order. We'll even sweeten the deal, on your first bag of chick starter you'll get a special price only available to customers ordering chicks. Don't wait, they are going fast!